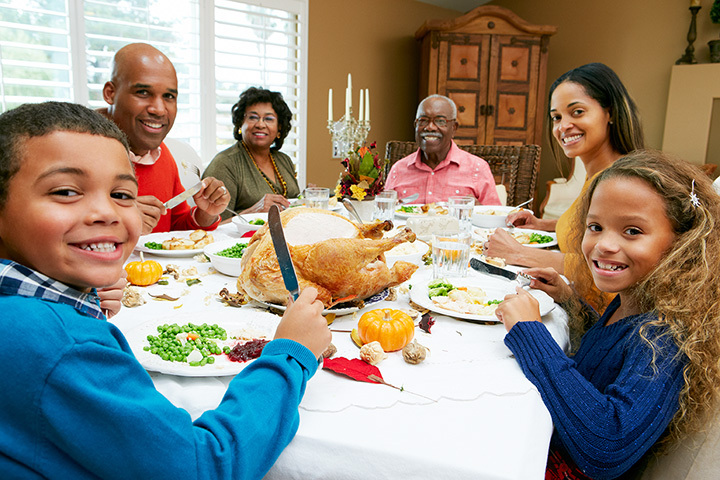 Give thanks and celebrate the day in a state rich in cultural diversity, eclectic food, and delightful people. From the best places to grab your poultry, to the sweetest pie shops around, here are some ideas to make your Thanksgiving a memorable one. This casual lounge is a little like being at home in your living room. Comfortable couches create intimate areas for quiet conversation, a light snack and an exotic cocktail…just what’s in order before the hubbub of Thanksgiving Day. Order an Anasazi Manhattan, made with Anasazi Colkegan Single Barrel Whiskey, Carpano Antica, Angostura Bitters and a plate of pork belly steamed buns served with black currant jam, cucumber, pickled carrot and cilantro as a precursor to your turkey day meal. As the only town in the country with pie in its name, a stop here is a must before the big day. What a great conversation opener: “So, I got my pies in Pie Town. Where did yours come from?” The Pie-O-Neer is the place in town to pick up pies, literally the only place. There are, of course, the standard Thanksgiving favorites, pecan, cherry, pumpkin, but if you want to make a statement take a walk on the wild side and grab a New Mexico apple with green chile and pine nuts, apple cranberry crumb or chocolate chess with red chile. Sugar free and gluten free available, plus a few take-and-bake fruit pies. With a motto, “Home of the Happy Turkey,” and a colorful depiction of the bird as a logo, it’s a slam dunk that this farm knows how to raise turkeys, something the farmers here have been doing for more than 20 years. The birds live outside in the sunshine, feasting on certified organic grains and then, when the time comes, are harvested in a humane manner. There are only about 1,000 birds available for sale, so don’t delay in purchasing one. Order through the farm or pick one up at a number of local markets. Who doesn’t love a parade?! This town loves this parade so much it’s been hosting it for the last 27 years. This annual Lighted Christmas Parade takes place on the Saturday after Thanksgiving. Celebrate your own memories by cheering as those on floats, in classic cars and other vehicles, or walking, biking and dancing march down Main Street. The dishes are done, the leftovers stowed away in the refrigerator. What now? Shopping! Head on over to the mall for some amazing deals on merchandise. With more than 80 stores, it’s a good bet you’ll find something you can’t live without. Most stores will open in the wee hours of Friday and throughout the day. You won’t beat the crowds, but you will get a jump start on holiday shopping. Thanksgiving football! The Lobos will face the San Diego State Aztecs at Qualcomm Stadium on Black Friday. Experience Lobos football as head coach Bob Davie and the team face-off against the Aztecs in California. Listen to the game on Lobo Radio Network or watch the action on CBS Sports Network. Get in touch with the state’s earliest inhabitants. Acoma Pueblo, atop a 350-foot mesa, is one of the few communities in the United States that has been continuously inhabited for the last 2,000 years. It’s a National Historic Landmark and a landmark in the state’s cultural heritage. The cultural center and the museum showcase the history, life and culture of these ancestral pueblo people. Open Saturday and Sunday, only, from 9 a.m. to 4 p.m.
Kickstart a day of feasting with a little exercise. The Socorro Striders and Riders fall race series includes this Thanksgiving Day trot. Registration begins at 8:30 a.m. at the Socorro Rodeo/Soccer Complex. The race gets underway at 9 a.m. Entry fee is $5 per person and a canned food donation. Burn a few calories so you can fill up on all the trimmings! For many, Thanksgiving Day is all about food. But there are those in need who don’t have the option to celebrate the day in this way. That’s where the Pantry, which serves the people in Northwestern New Mexico, comes in. The mission is to acquire, store and distribute food to children, the elderly and families in need. Volunteers are an integral part of the success of the program. Opportunities range from helping in the warehouse to monthly food distributions to putting emergency food boxes together. Whew! The big day is over. All the food has been eaten. Guests have gone home. Now is the time take a deep breath and schedule some self-care at the spa. Take a soak in the healing waters, get a therapeutic massage or a rejuvenating facial or take a yoga class. Whatever brings your mind, body and spirit back into alignment. Go for the day, spend a night or two, have a meal or relax in the bar. Then head home refreshed for the holiday season that’s just around the corner.